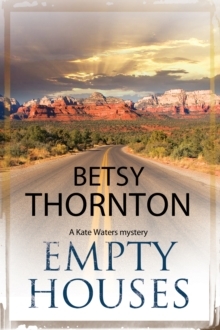 The first in the brand-new Kate Waters series Dudley, Arizona is an isolated desert town attracting people who need to escape. Kate Waters flees there following an abusive relationship. Phoenix cop Malcolm MacGregor comes to recover from the death of his wife. No one knows why Carrie and Wes Cooper arrived. But when they are shot dead, the town authorities' first instinct is to protect the lucrative tourist trade and make a quick arrest - without asking too many questions. Having once spoken to Carrie briefly, Kate becomes increasingly convinced that the wrong man has been arrested for the crime. Was the shooting random, or is there something in the victims' history back east that would explain it? Teaming up with Malcolm MacGregor, Kate is about to uncover disturbing links between her own and Carrie's past. Is Kate herself at risk?